Home is where the heart is, and there is no doubt that finding an ideal fit in terms of where one lives is important. However, dealing with the property market can be daunting, and quite a headache for many. “How much is my house worth?”, “I want a 4 room condominium in District 10 which is near the MRT.”, “Is it smart to sell my house now?” These are some common problems that many have a hard time solving themselves. These are also questions Mrs Regina Loh, a homeowner who is seeking to move, has been asking. With almost every service at your fingertips these days, Mrs Loh is able to check available offers using property portals, such as The Edge Property. 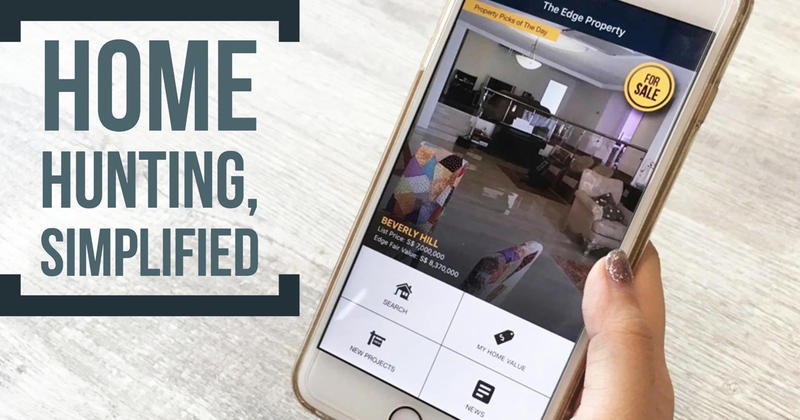 Initially restricted in her usage of the website to the times when she is on her laptop, The Edge Property’s new app gives her the same benefits on-the-go. Deciding that the time was ripe for her to sell her current home and move to another, she wanted to find out how much her home was worth, so that she can plan out the budget for her new home accordingly. 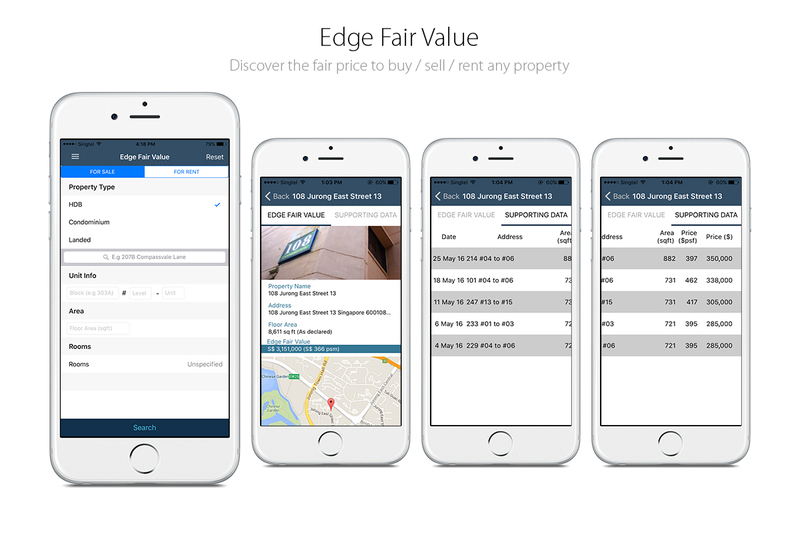 With The Edge Property’s My Home Value tool also featured in the app, Mrs Loh fills in the necessary information to get an estimated valuation, based on the past transactions by her neighbours. A tap of the Supporting Documents tab reveals the amounts her ex-neighbours got from the sale of their homes. With her estimated earnings from the sale in mind, she now starts the more tedious part of the process – house hunting. Mrs Loh was alerted by her friend that she saw a banner advertising a property at Race Course Road which was up for sale. Located near to Farrer Park MRT, this was an attractive option for her. The convenience that came with being near to Mustafa, a 24 hour supermarket, was also something she found hard to resist. With the Research tab, she accessed the vital information needed in making her decision – from specific details, to a map with icons indicating amenities, and even past transactions of sales and rentals. However, the place did not satisfy all her requirements, so it was back to the drawing board, and she turned her sights onto properties near Pasir Ris MRT. She always liked how Pasir Ris is relatively quiet as compared to its more crowded neighbours like Tampines, and what’s more, her older son’s junior college was also in the estate. Through the Search By Map option, she entered Pasir Ris MRT and got to view available property listings in the vicinity. The digits in the location pins indicated the number of available listings at the location, and she was pleased by the plethora of choices she got. With a tap of a pin she was directed to a visual listing of the available properties. Other available options in the area were also accessible at the bottom of each page, lest she wanted to browse more options. During her intensive search, Mrs Loh utilised the convenient ‘swipe right to bookmark’ to keep track of the properties she was interested in. This takes a leaf from the system dating app Tinder popularised, making the app very much like a Tinder for properties. Just like Mrs Loh, many Singaporeans have a host of considerations when it comes to selecting their new nest. The Edge Property app seems to serve well in simplifying and making the process a little less daunting. The app also features a quality listing indicator, which prevents agents with a 50% and lower indicator rating from putting up listings. Since agents do not need to pay a fee to put up a listing, The Edge Property thus reserves the right to take down their listings if deemed of low quality. 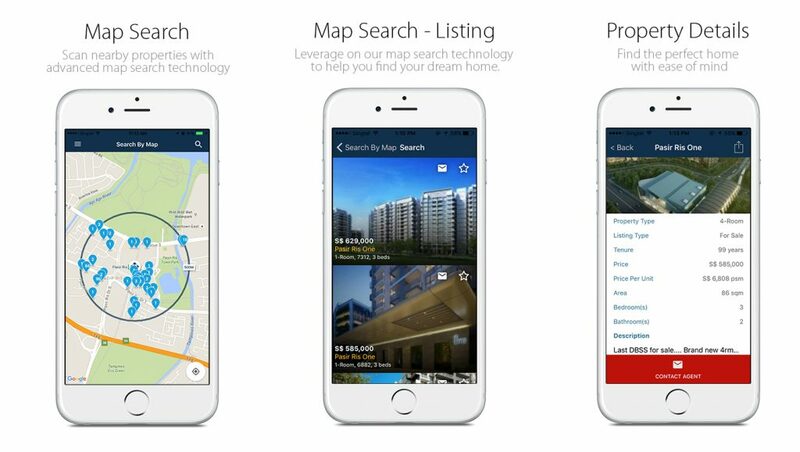 The Edge Property app is free for download on iOS and Android, so start on your search for your dream home now!